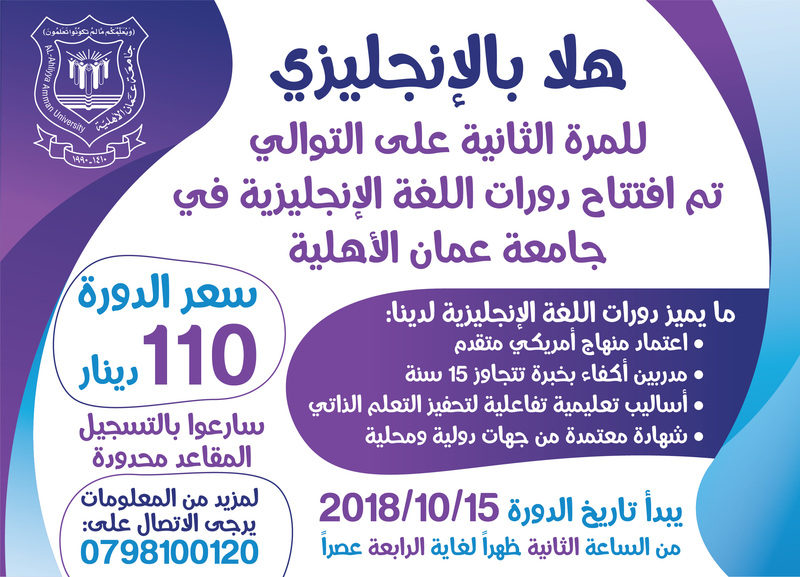 AAU’s Center of Consultations & Continuing Education in cooperation with Pioneers Academy for Consultations & Training organizes an initiative under the slogan “Keef Engleeziyatak”. Those of you interested in improving their levels in English Language, kindly contact phone number 0798100120. It is worth mentioning that the course which offers a free placement test in line with the International Criteria of “CEFR”, determines the level of students in English.